Marfan syndrome can affect many parts of the body, but the most serious feature of the disorder is a cardiac condition called aortic dissection (tearing of the walls of the aorta) most commonly preceded by aortic enlargement. Left unchecked, this condition can be life-threatening. The aorta is the largest blood vessel in the body, and carries the blood directly from the heart to the rest of the body. In a person with Marfan syndrome, the aorta can enlarge, which could eventually lead to a bulge, or aneurysm. These weakened areas of the aortic valve are at risk for tearing, with blood flowing through the tear and resulting in a separation between layers of the aortic wall. This serious condition is known as aortic dissection. Thankfully, the proper testing and treatment can help reduce the risk of aortic dissections occurring. Aortic enlargement can occur as early as childhood in a person with Marfan syndrome, or it may not emerge until later in their adult life. This is why it is so important that an early diagnosis and treatment or monitoring plan is established. As soon as someone is diagnosed with Marfan syndrome, they should be screened for aortic enlargement. Aortic dimensions, specifically the diameter of the aorta, can be measured using different imaging modalities like echocardiography, CT or MRI. An echocardiogram is recommended at the time of diagnosis of Marfan syndrome to not only measure aortic root diameter, but also determine the rate of enlargement of the aorta. Even if no enlargement is detected, it is recommended that the aorta is imaged at least once a year to monitor any changes in size. In addition to aortic enlargement, the valves of the heart can also become problematic for those with Marfan syndrome. Mitral valve prolapse – a condition in which one or both of the two leaflets of the valve don’t close properly – can develop over time. Symptoms are non-specific, but can include palpitations and shortness of breath. Both of these conditions can be diagnosed with an echocardiogram. 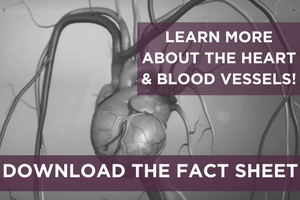 The bottom line: Because cardiovascular issues can develop or worsen at any point over one’s lifetime, it is important for a patient with Marfan to get screened early to evaluate their cardiovascular system. Doctors can provide early advice and treatment to prevent a life-threatening situation and give patients peace of mind. Juan-Carlos Brenes MD, FACC, FASE, FACP, is a full time cardiologist and assistant professor with Columbia University in the Division of Cardiology at Mount Sinai Medical Center in Miami Beach, FL. He is also the Cardiology Fellowship Program Director, Co-Director of the Non-Invasive Echocardiography Laboratory, and Co-Director of the Adult Congenital Heart Disease Clinic.